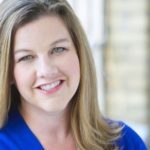 Family Trees Archives - Joelle Delbourgo Associates, Inc.
After graduating from St. Olaf College, Kerstin March built a career around writing. During her start as a small town newspaper reporter, and as a public relations professional later on, she always enjoyed bringing out the personal side of news stories. When she sat down to write her first novel, Kerstin could picture the setting clearly. The story would take place in Bayfield, Wisconsin, on Lake Superior’s south shore – a place that felt like a second home to her after spending countless family gatherings there since early childhood. As Kerstin continued to write, the setting always remained the same – but the story unfolded in ways she hadn’t imagined on that first writing day. 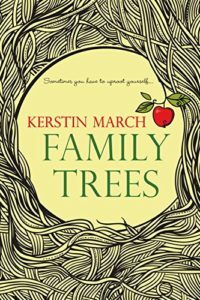 Kerstin is the author of two contemporary novels, titled Family Trees and Branching Out (Kensington Publishing Corp.). Both novels have been translated into German under the titles, Die Zeit der Apfelblüten and Apfelblüten Sommer (Egmont LYX). She is currently working on her third novel, which is set in Minnesota’s Lake Country. 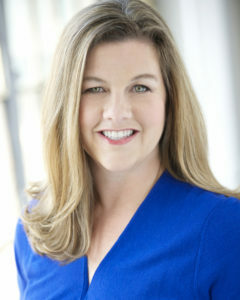 In addition to writing fiction, Kerstin is a freelance writer and serves as the public relations director for The Tall Poppy Writers, an author-driven marketing cooperative that elevates the work of female authors, connects directly with readers, and supports domestic and international nonprofit organizations that foster literacy. She is also a member of the Women’s Fiction Writers Association. Kerstin lives in Minnesota with her husband and their three children. When her family isn’t scrambling with work, school, and errands, they can often be found up north, braving ice-cold swims, fish boils, and bear scares on Lake Superior’s shore. 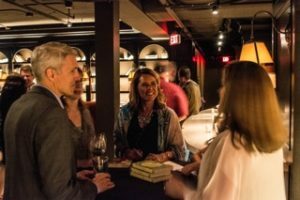 Kerstin March sent these photos from the launch party at for her heartwarming novel, FAMILY TREES (Kensington). Valley Books sold books at the event, which was held at The Library (Marin Restaurant) in downtown Minneapolis. Approximately 300 people were in attendance, and some, no doubt, enjoyed the Apple-tinis, served, in a tribute to the book in which an apple orchard figures. Sensible and self-reliant, Shelby Meyers knows exactly what she wants. She’ll never again depend on her errant mother, Jackie, who abandoned Shelby when she was a baby—and is forever searching for an elusive, glittering life. All Shelby needs is her beautiful, windswept Lake Superior, her loving grandparents, and the treasured-but-struggling family apple orchard she helps run—until a new love, Ryan Chambers, opens her heart to chance, and her eyes to a wider world than she ever imagined. After graduating from St. Olaf College, Kerstin March built a career around writing. During her start as a small town newspaper reporter, and as a public relations professional later on, she always enjoyed bringing out the personal side of news stories. Kerstin lives in Minnesota with her husband and their three children. When her family isn’t scrambling with work, school, and errands, they can often be found up north, braving ice-cold swims, fish boils, and bear scares on Lake Superior’s shore. Family Trees is her first novel. For more information, please visit www.kerstinmarch.com. I was thrilled this week to make a 2-book deal with Kensington Publishing for first time author, Kerstin March. I think this happy ending can be instructive for debut novelists, especially those writing mainstream women’s fiction or genre fiction, so I thought I’d share a little bit abou t how this came to be. Kerstin came to my attention through a writer’s conference (Madison Writers Institute) in Madison, Wisconsin, where I was presenting along with other agents, authors and publishers. This is a particularly well-organized and informative conference where this agency has discovered authors in the past, so I was very pleased to attend for the second time. So lesson #1 is that first time authors could do well to ask their writing friends about their experiences at writing conferences, as some are better than others. But the better ones bring in talent from the publishing world around the country, and sponsor interesting and educational programs and panels, as well as providing writers with an opportunity to meet one on one with publishing professionals. This is fantastic, of course, in giving new writers an overview of the industry, but also in connecting them with other writers who are serious about getting published. Kerstin was also introduced to me by a writer already represented by this agency, Anne Greenwood Brown, who we adore. Anne is the consummate professional: brilliant, creative, funny and immensely talented. Best of all, she’s nice, really nice. So I took her referral seriously. 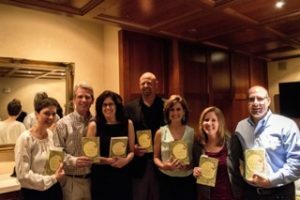 If, as a new writer, you can get to know some more established writers who are willing to mentor you and facilitate your entry into the publishing world, you will be one of the lucky ones. Most of our clients come through referral, not over the transom. But at the same time, don’t be pushy. It needs to develop organically, and it can put another writer in a difficult position if he or she is not a true enthusiast of your work. When Kerstin sent me her manuscript many months later, I was very impressed. But I also thought that there were ways she could strengthen it, and like the pro that she is, she listened and took the time to do a revision. Soon we were ready to go. During one lunch date with an editor, I mentioned Kerstin’s novel, and the editor suggested that she might want to develop ideas for a sequel or possibly more than one linked novel. That was a great idea, and Kerstin immediately gave it a try. The first effort didn’t entirely work, but once again, Kerstin rose to the challenge and came up with just what I needed. So when Martin Biro, a smart young editor at Kensington called to tell me how much he liked FAMILY TREES, and wanted to to know what Kerstin might do next, we were ready. Martin snapped up the first and second novel, and voila, a talented author’s work will see the light of day. Martin loved FAMILY TREES, but he also wanted to invest in a writer’s career. Knowing that there will be a follow up to FAMILY TREES, and a shared vision, instilled trust in this new author, and he was able to get the backing of his publishing team. I’m always looking authors who not only exhibit raw talent, but also listen, learn, and work with me to help me to get their work the attention it deserves. Here’s wishing all you debut novelists out there luck. But sometimes we make our luck. It doesn’t just happen. FAMILY TREES is a charming story set in a small lake town on Lake Superior.